Nashua School Board debates end of tackle football. A Nashua, New Hampshire, school board member suggested that the high school stop playing tackle football in favor of flag or touch football at the board's policy meeting last week. Howard Coffman made the recommendation was made after former student athlete Cooper Doucette was paralyzed breaking his neck during practice in 2010. The city of Nashua paid Doucette a $1.3 million settlement after his family filed a lawsuit. "One is more than enough," Coffman said. "On my watch, as a board member, I don't want any student to face that." Coffman was speaking about a life-threatening injury like the one Doucette sustained. Board member Raymond Guarino disagrees with Coffman, saying in a statement,"We do everything we can to avoid serious injury. The serious life altering incidents are outliers. The decision to accept the risk of injury belongs to the student athlete and the parents." Dozens of student athletes attended that same school board meeting. Several of them spoke out against the change Coffman suggested. 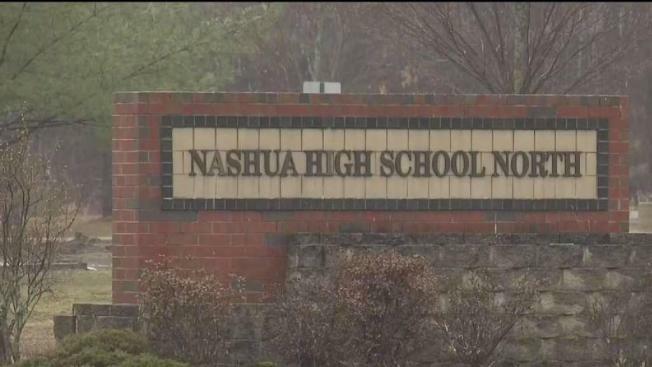 "We know what could possibly happen," said Jaylan Pacheco a student at Nashua High School South. "I've gone through my fair share of injuries. I had a concussion, but I was always taken care of. They make sure you're OK."
"They care more about your safety than you being a football player," said Tony Agar a student at Nashua High School South. Nashua School District Director of Athletics Lisa Gingras said the school has protocols in place to protect the students. A statement from Gingras said, in part, "We discussed at length what the coaches do to keep kids safe, especially by teaching tackling through Heads Up. The trainers spoke about what they do at practices and on the sidelines. We discussed that we have a doctor on the sideline and an ambulance at the entrance of every home football game. Our athletic trainers also travel with the varsity football team to away games." "It's like the same thing when you pad up, you don't know what's going to happen," Agar said. "It could be your last game, just like when you walk outside, it could be your last day." "We discussed at length what the coaches do to keep kids safe, especially by teaching tackling through Heads Up. The trainers spoke about what they do at practices and on the sidelines. We discussed that we have a doctor on the sideline and an ambulance at the entrance of every home football game. Our athletic trainers also travel with the varsity football team to away games." Coffman also said he doesn't expect the rules of football to change. He said he was pleased with what came out of the discussion.